Russia wants Georgia to determine its position towards its two former republics, Abkhazia and South Ossetia, Russian Deputy Foreign Minister Grigory Karasin said. The diplomat was heading a Russian delegation at the 13th round of discussions on security and stability in the Southern Caucasus, held in Geneva on Thursday. Delegations from Abkhazia, South Ossetia, Georgia, Russia and the US were at the talks, held under the aegis of the UN, the EU and the Organization for Security and Co-operation in Europe (OSCE). Karasin said the main result of the Geneva consultations can be seen in the fact that this year “is passing relatively calmly” along Georgia’s borders with the two breakaway republics. 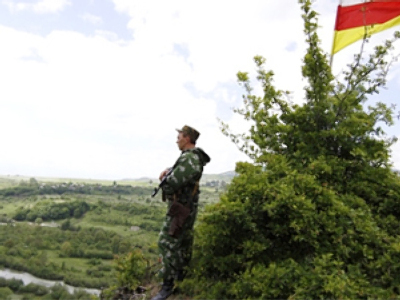 As a result of Thursday’s talks, the incident prevention and response group will shortly resume operation in South Ossetia’s Tskhinval Region. Russia is going to withdraw its South Ossetian border checkpoint in the village of Perevi, claimed by Georgia, Karasin said after the talks in Geneva. The residential settlement is located “on the disputable geographic territory,” Itar-Tass quoted the diplomat as saying. The co-chairs of the talks have described the decision as “good news for stability and the implementation of a positive agenda,” he noted. However, Karasin stressed that this was not only an “act of responsibility and goodwill,” but also “an exam for restraint and respectability of our Georgian partners.” In 2008, when the same checkpoint withdrew from the village, Georgian forces “briskly occupied Perevi and declared a major victory,” he recalled. Now the territory of South Ossetia will be “finally determined”, Karasin said, adding that “nobody can any longer blame border guards for deployment on Georgian territory.” The border will be fully controlled by Russian border guards on the basis of bilateral agreements, he noted. 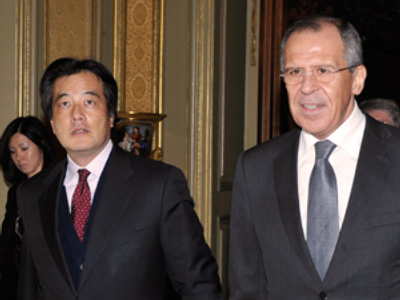 Moscow also expects Georgia to undertake practical steps for stabilization, the diplomat said. Tbilisi has insisted Russia was obliged to withdraw from Perevi after the six-point ceasefire agreement was signed in 2008. Meanwhile, South Ossetia’s delegation did not attend a meeting on the humanitarian taskforce held on the sidelines of the Geneva talks, in protest against the UN’s approval of the Georgian resolution on refugees and displaced persons from the two breakaway republics. “It is unfair and dishonest to pass a resolution on humanitarian issues without the people it concerns,” Karasin said. He believes this position will not prevent the next round of discussions scheduled for December 16. 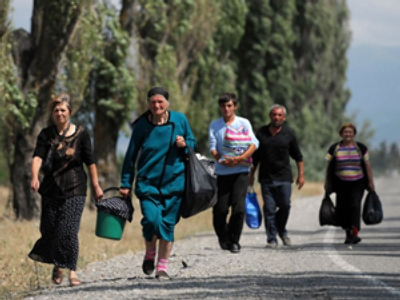 The South Ossetian delegation “declared intention to consider the return of Georgian refugees who abandoned South Ossetia in August 2008,” Itar-Tass quoted the diplomat as saying. South Ossetia made it clear that the republic’s residents of Georgian origin "enjoy the same rights,” Karasin stressed. In a separate development, the Russian Foreign Ministry has described as a provocation the arrest and trial of three Russian citizens on money counterfeiting charges, in Batumi, the capital of Georgia’s republic of Adzharia. The ministry’s spokesman Andrey Nesterenko on Thursday accused Georgian secret services of targeting Russians who were, in the past, connected with a former Russian military base in Batumi. Russia has strong grounds to suspect that the case has been fabricated, he said.